NOW OPEN - Opened 12 December 2016! Brand new 4.5 Star fully self-contained studio, one & two bedroom apartments, centrally located in the West End of the historic port city of Fremantle. Featuring spacious contemporary rooms, all with openable windows & some with high ceilings (urban balcony apartments available some with inner harbour &/or part ocean views). 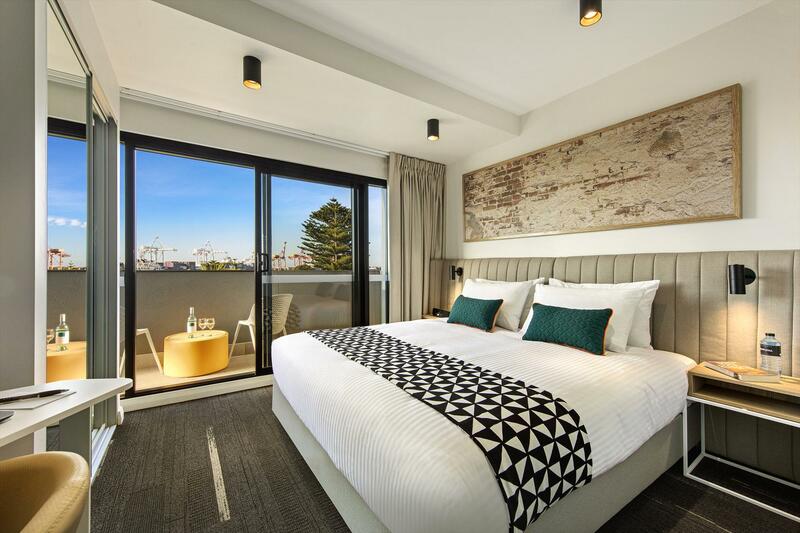 Comprising 122 fully self-contained studio, one & two bedroom apartments, Quest Fremantle is the perfect choice for both the corporate & leisure traveller, centrally located in the West End of the historic port city of Fremantle. Featuring spacious contemporary rooms, all with openable windows & some with high ceilings (urban balcony apartments available some with inner harbour &/or part ocean views), central feature garden atrium & on-site café & restaurant, gymnasium, laundry facilities. 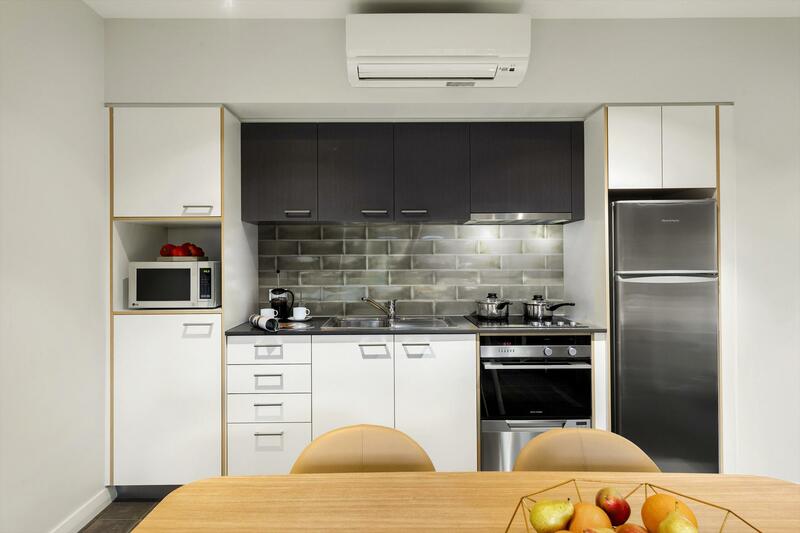 Our studio apartments offer kitchenette facilities, Foxtel, LCD TV & work desk with access to FREE high speed Wi-Fi. 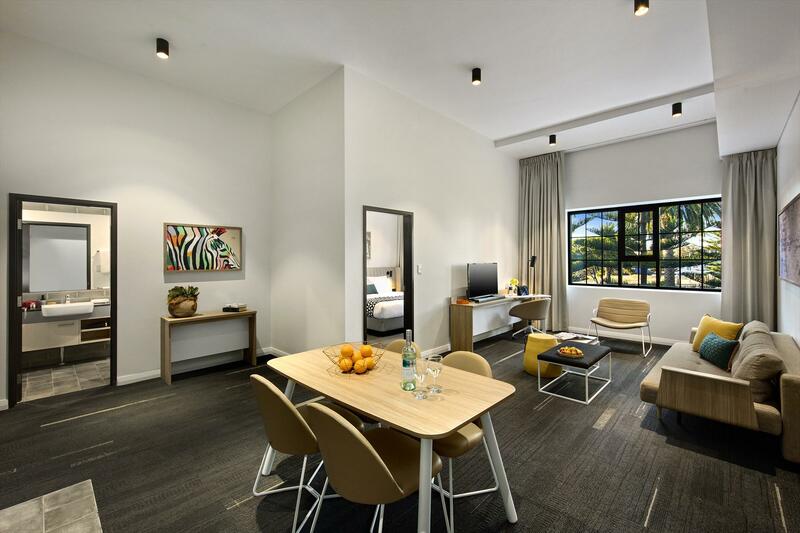 Our one bedroom apartments feature a quality king bed, modern bathroom, fully equipped kitchen including stainless steel appliances, spacious lounge, dining area & work desk. Our two bedroom serviced apartments feature a quality king bed, 2 modern bathrooms, fully equipped kitchen including stainless steel appliances, a spacious lounge, dining area, DVD player & work desk. FREE high speed Wi-Fi internet throughout. 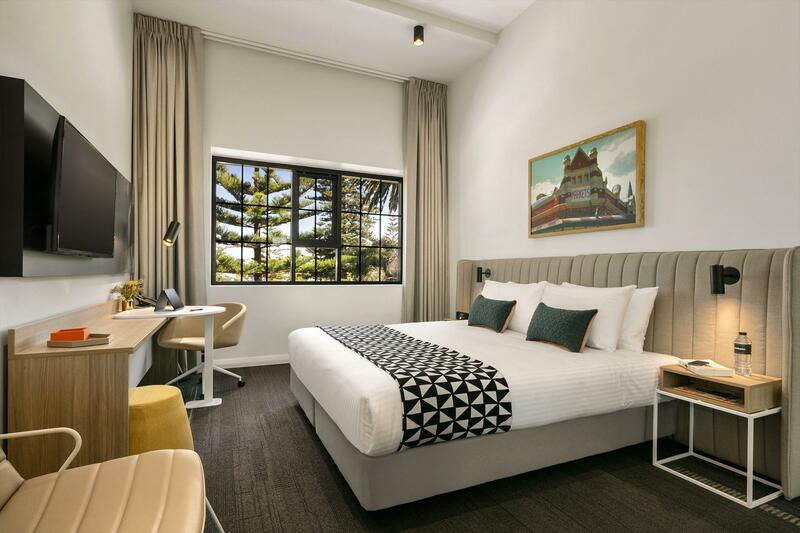 Stay your way in our spacious and stylish Fremantle studio apartment accommodation. It is the ideal alternative to the standard hotel room for the business or leisure traveller. Studio apartments feature kitchenette facilities, Foxtel, LCD flat screen TV and work desk with access to high speed WiFi. 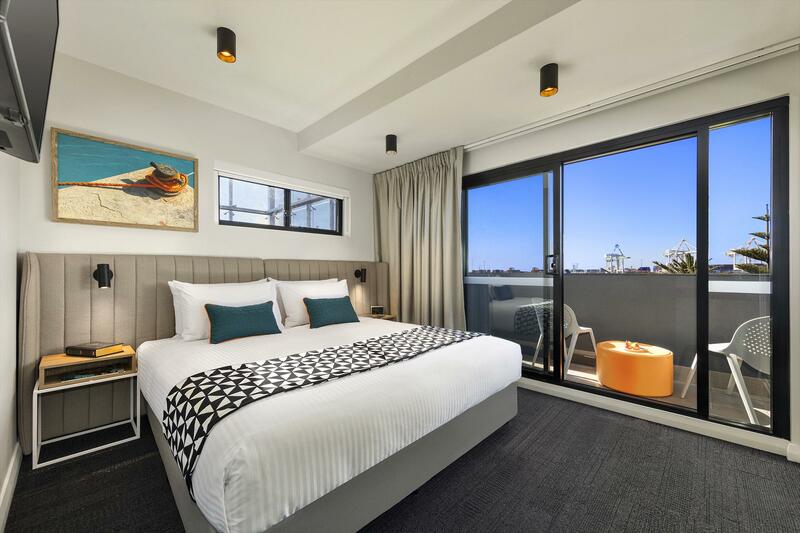 Stay your way in our spacious and stylish Fremantle executive studio apartment accommodation (with urban balcony). It is the ideal alternative to the standard hotel room for the business or leisure traveller. Studio apartments feature kitchenette facilities, Foxtel, LCD flat screen TV and work desk with access to high speed WiFi. Spacious, stylish and well-appointed one bedroom serviced apartment accommodation in Fremantle. Our brand new one bedroom serviced apartment features a quality king bed, modern bathroom, fully equipped kitchen including stainless steel appliances, spacious lounge, dining area and work desk. Spacious, stylish and well-appointed one bedroom serviced apartment (with urban balcony) accommodation in Fremantle. Our brand new one bedroom serviced apartment features a quality king bed, modern bathroom, fully equipped kitchen including stainless steel appliances, spacious lounge, dining area and work desk. 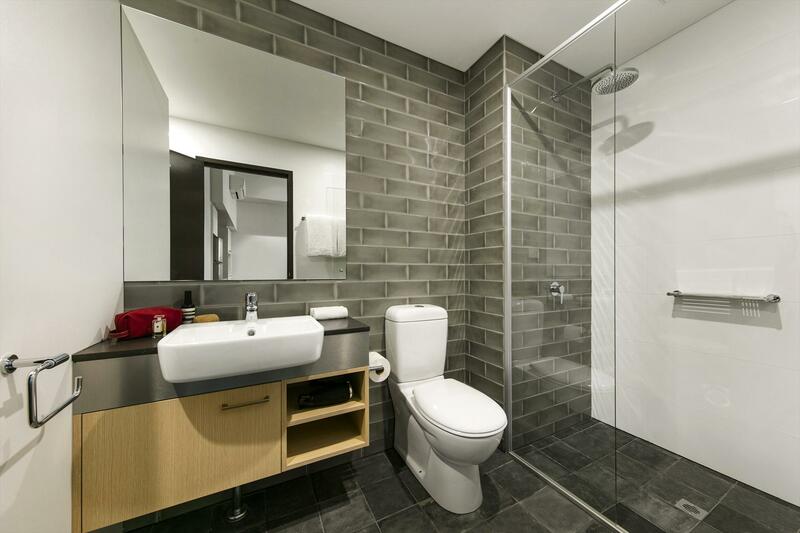 Spacious and stylish two bedroom serviced apartment accommodation in Fremantle. Our brand new two bedroom serviced apartment features king or single bedding, two modern bathrooms, fully-equipped kitchen including stainless steel appliances, a spacious lounge, dining area and work desk. Spacious and stylish two bedroom serviced apartment (with urban balcony)accommodation in Fremantle. Our brand new two bedroom serviced apartment features king or single bedding, two modern bathrooms, fully-equipped kitchen including stainless steel appliances, a spacious lounge, dining area and work desk. A cancellation fee of one nights accommodation will apply to any booking cancelled within 48 hours of the arrival time. If no arrival time is specified 10pm will be considered the arrival time. Cancellation fees will automatically be charged to the credit card provided or deducted from the reservation deposit. Any Quest property may alter these terms and conditions for specific bookings and advise the alternate terms and conditions that will apply.